A UK startup company has developed a robot that could map hazardous radiation sources at the Fukushima Daiichi nuclear plant in Japan. The plant suffered a catastrophic meltdown after an earthquake and tsunami hit the area in March 2011. Createc is a small company based in Cumbria in northern England, and is behind the camera technology called N-Visage, in which a robot can detect and draw a 3D map of high radiation locations which are deemed to be too contaminated for human workers. The £500,000 contract with clean-up contractor Hitachi is the largest secured by the company specializing in innovative applications of imaging technology. 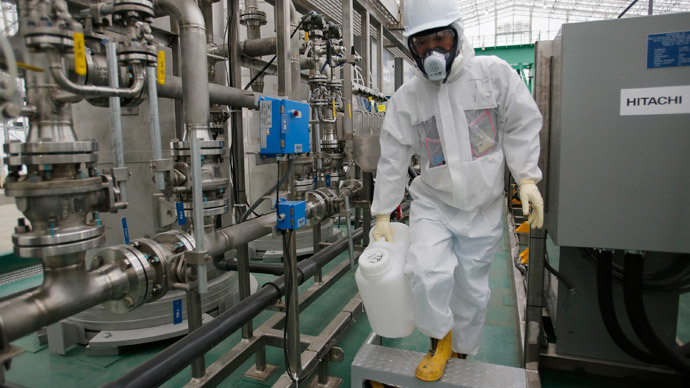 “The result is an accurate distribution map of contamination and radiation levels in different parts of a facility, and the capability to predict how the radiation environment will evolve as the facility is modified or taken apart,” the Nuclear Decommissioning Authority said of the mapping and nuclear decommissioning project. The stair-climbing robots can get through small openings, work in tight spaces and in high radiation environments, and will be able to enter inaccessible areas located deep inside the nuclear site. They will examine radiation levels with their N-Visage camera technology. “Radiation imaging is the process of making images using gamma or x-ray radiation just as a camera makes images with light,” Createc explains. Nuclear companies are reportedly using robotics to deliver safer, faster and more cost-effective solutions for nuclear decommissioning around the world that is forecast to be worth £250 billion between now and 2030. Createc has also signed a contract with the Japanese government to begin developing a camera designed to go all the way into the reactor core and record images. The N-Visage technology was first used at Britain’s Sellafield, Western Europe’s largest nuclear waste site. It is now being adapted for use in non-nuclear environments, including airport security checks and other surveying applications. “However, the next challenge for us is to see N-Visage deployed more widely at nuclear sites in this country, where we believe it will deliver significant benefits in terms of enabling a greater understanding of radiation distribution and, therefore, optimum planning for taking facilities apart,” Createc Managing Director Matt Mellor said.